Our sponsor, the web-based equine advertising site horsology (horsology.co.uk) is kindly giving all Youngstock Evaluation entrants free annual membership to Horsology which gives unlimited ads for youngstock, stallions etc. 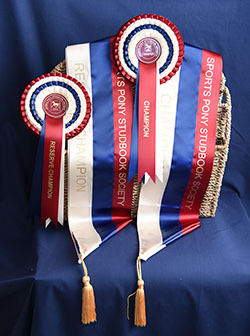 The Regional Youngstock Evaluations are open to filly, colt and gelding foals, yearlings & two year olds (plus 3 year old fillies & geldings) bred to be competition ponies or small competition horses (up to 158cm unless SPSS passported when there is no height limit) regardless of breed, passport or colour. 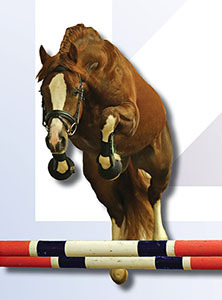 Each entrant will be evaluated individually for conformation and paces (in-hand & loose) with loose jumping as an option for those 2 and 3 year olds destined to be show jumpers or eventers. With our regular grading judge, Hans-Heinrich Brüning, flying in from Germany for all of the regional evaluations, all participants will get a mark/comment sheet (sent by email after the event) and those gaining at least 7.0 will be awarded a Premium Rosette unless they score 8.0 or higher when they will get a Gold Premium Rosette. Youngstock do not have to be SPSS registered nor do owners have to be SPSS members. Youngstock receiving a Gold Premium will be eligible to enter the Youngstock National Final being held on Friday 16th October, at The College EC, Keysoe, Bedfordshire where entrants will compete against each other to determine the best foal, yearling, 2 & 3 year olds in both the Competition Pony and Small Competition Horse sections. 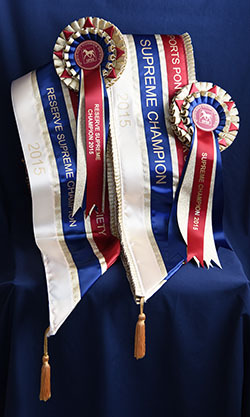 The first and second placed in each age category will then compete for the Champion Competition Pony and Champion Small Competition Horse titles before a Supreme Champion is selected to receive the Horsology trophy, sash and rosette. All Youngstock Evaluation competitors will receive free annual membership to the web-based equine advertising site horsology (horsology.co.uk) which gives unlimited ads for youngstock, stallions etc thanks to their generous sponsorship. Stabling at the venues must be booked with each venue directly - their contact details are available on that event's dedicated page. The SPSS Rule book can be download here. Specific rules for the Youngstock Evaluations and National Final can be found on the specific entry form. See entry form for withdrawal policy. Specialist equestrian photographer Julia Shearwood will be attending all of our Grading and evaluation days and photos will be available for purchase via her website. Julia covers many major events, including the Rolex Kentucky 3DE and her 2011 shot of Mary King was used on the cover of Horse & Hound and won her a prestigious award, so we are very lucky to have her booked for the Grading day. However, as a condition of Julia's attendance, we are unable to allow any other commercial photographers at the event so, although family and friends are fine taking photos of ponies they are there to support, please limit your photography to this as otherwise we may be unable to secure Julia's services in the future which would be a great shame. Open to SPSS members and non-members with SPSS registered and unregistered ponies or small horses provided that they gained a Gold Premium at a Regional Evaluation. Class 1: Foals (fillies/colts/geldings). Born 2015; may be shown with or without their dam. Class 2: Yearlings (fillies/colts/geldings). Born 2014. Class 3: 2 year olds (fillies/colts/geldings). Born 2013. Class 4: 3 year olds (mares/geldings only). Born 2012. Class 5: Foals (fillies/colts/geldings). Born 2015; may be shown with or without their dam. Class 6: Yearlings (fillies/colts/geldings). Born 2014. Class 7: 2 year olds (fillies/colts/geldings). Born 2013. Class 8: 3 year olds (mares/geldings only). Born 2012. The Entry form will be supplied to all those qualified. Note that only youngstock achieving a Gold Premium in a Regional Evaluation are eligible to enter - this includes those doing the last Regional Evaluation taking place on the morning of the Final. These qualifiers will be able to enter on the day; all those who qualifier early will need to enter by the closing date (9th Oct). All entries received by the closing date will be accepted. The SPSS Rule book can be download here. Specific rules for the National Final can be found on the entry form. Stabling at The College EC, Keysoe must be booked with them directly. Their number is 01234 708400. Entries and approximate times will be published here by 13th October for the October Evaluations. Allowance will be made in the times for those qualifying in the morning's final regional evaluation as (obviously) they will be allowed to enter on the day.